Facial kits as Gold Radiance, Diamond sparkling, Chocolate Anti ageing, Fruit Freshness, Papaya , Pearl Shine & Anti acne Facial kits a wonderful gift for the people who matter to your company. 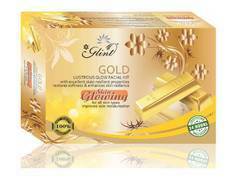 Understanding the demands of clients as a prominent organization, we are offering Ayurvedic Gold Facial Kit. Dispatching these facial kits in timely manner, we have mustered huge client-base. We are Chic Beauty care International Pvt. Ltd., Nagpur, dealing in herbal skin care and hair care products under our own brand name ORACHIC.